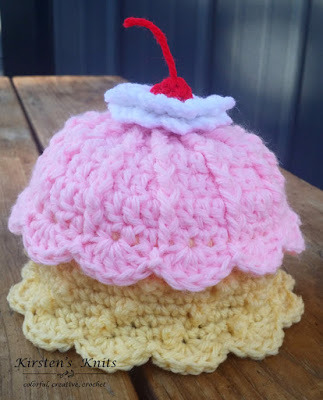 The free Strawberry and Banana Sundae (or Cupcake) crochet hat is heaped high with fun textures that make this a unique offering to the collection of ice-cream sundae or cupcake crochet hat patterns available. 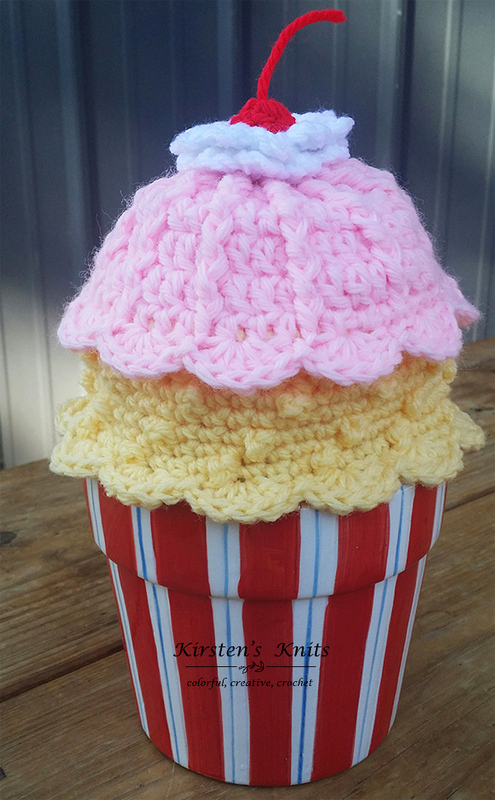 While I chose pink and yellow for this pattern, feel free to make a chocolate and mint hat, or a pumpkin and vanilla hat, really, the flavors–err, colors are limitless, and totally up to you. This continues my stash-busting patterns for the NICU series. Supporting a good cause and using up the last little pieces of a skein of yarn that’s been sitting around for months–now those are two things to get excited about! 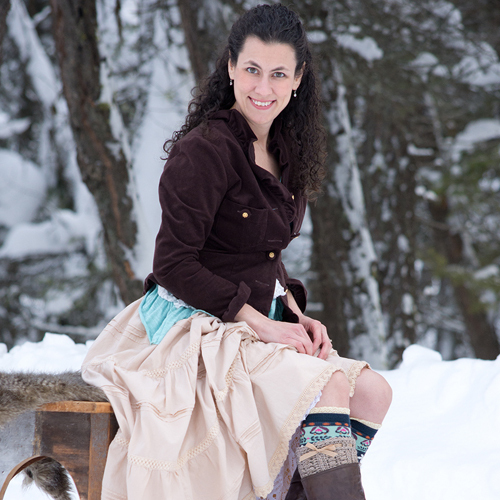 Grab your hook, and some leftover yarn and lets get started! amount of red, and white yarn, or 4 colors of your choice. Pictured is Red Heart Super Saver, White, Baby Pink, Lemon, and Hot Red. Finished hat should measure, unstretched, about 7″ wide at widest part, and 4 3/4″ long (not including cherry and whipped cream). 3, then yo, and draw through both loops on the hook. Stitching in the “3rd loop” of hdc. Look behind the stitch to find the “3rd loop” and work all stitches for that round in that 3rd loop. one space depending on where your picot is falling. 6 sc in magic ring. Join with sl st to first sc (6) *Note: The tail you leave here will need to be pulled through the center for the “stem”. Round 4: working in front loops only, ch 1, work [sc, ch 2, hdc in sc] in each st around. Join with sl st to first ch 1. Round 5: ch 1, working in back loops only, sk first st, [sc, ch 2, hdc in sc] in each st around. Once you get to the stitch you skipped, work [sc, ch 2, hdc in sc] in it. This should offset the bumps in the top row of whipped cream. Join with sl st to ch 1. Leave a 12″ tail for sewing the cherry, and whipped cream to the top of the hat. 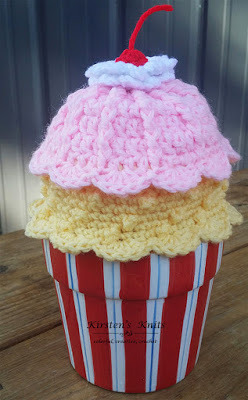 That’s so adorable can’t wait to make some of these baby hats! Just love them. Thank you so much for sharing. My daughter is pregnant . If we find out that she is having a girl, could you make this for her baby? I would but I broke my wrist . If you say yes, what would it cost? I’m sorry you broke your wrist! I hope it heals soon! Unfortunately I don’t sell finished items, however there are plenty of crocheters on Etsy that will take requests like this. 🙂 Anyone is free to make, and sell hats from this pattern. Thank you so much, for the cute baby hats. I never had any children but everyone around me are having twins(2 sets) and triple (1 set), all coming in the new year. You’re welcome! It sounds like you will be surrounded by a bunch of wonderful baby sweetness very soon. I hope their families enjoy the hats you make!